The former interior of the St Sava Serbian Orthodox Church at 15 West 25th Street, destroyed by fire on May 1, 2016. Photos by the author unless indicated otherwise. 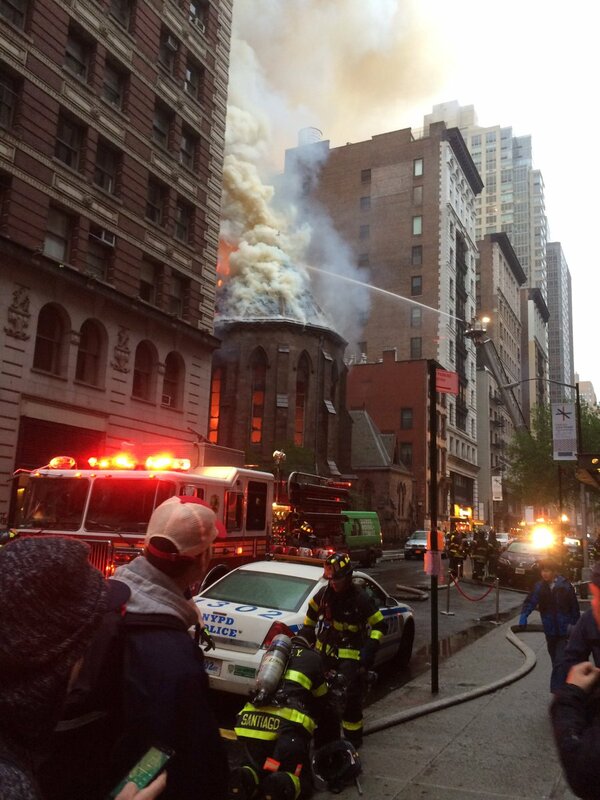 The May 1 celebration of Eastern Orthodox Easter was marred by the tragic fire at the Serbian Orthodox Cathedral of St. Sava at 15 West 25th Street. Aside from minor smoke inhalation by the church caretaker, no one was injured in the four-alarm blaze. The same cannot be said for the landmark church itself, which was reduced to a charred stone shell. 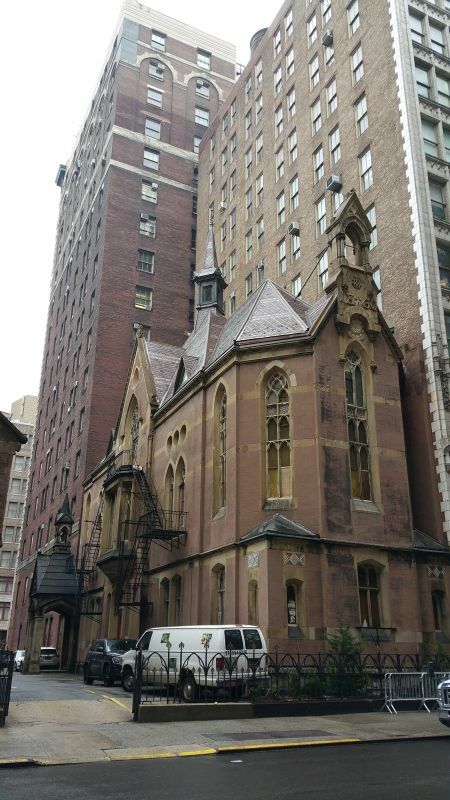 The roughly 10,000-square-foot church was built between 1850 and 1855 as part of the Trinity Chapel Complex, which shared its 20,000-square-foot, through-block lot with a smaller rectory to the east. 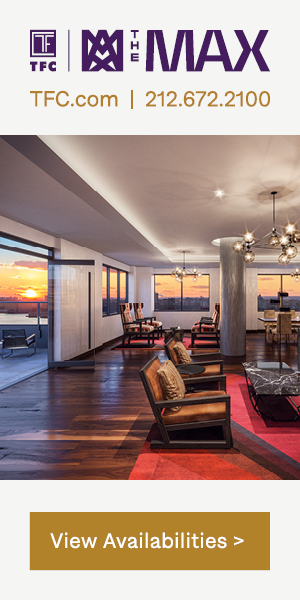 It was designed by British-American architect Richard Upjohn, founder and first president of the American Institute of Architects (AIA). Less than a decade earlier, Upjohn designed Lower Manhattan’s Trinity Church, which capped westward vistas along Wall Street starting in 1846. 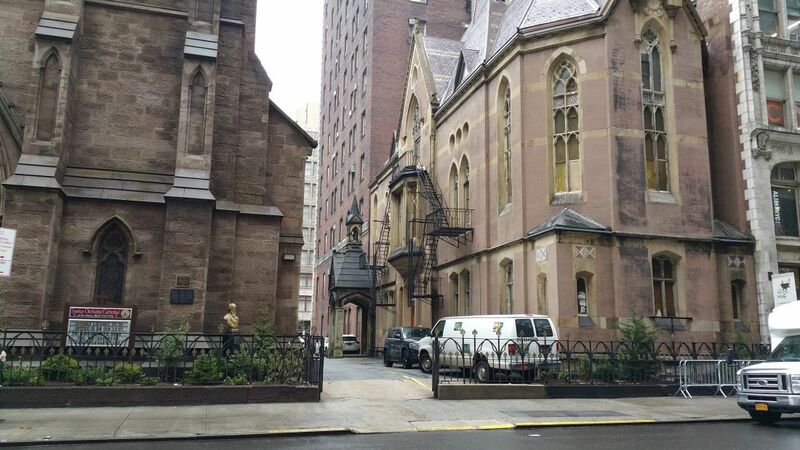 The new facility on West 25th Street was built to service uptown parishioners of the rapidly growing city. 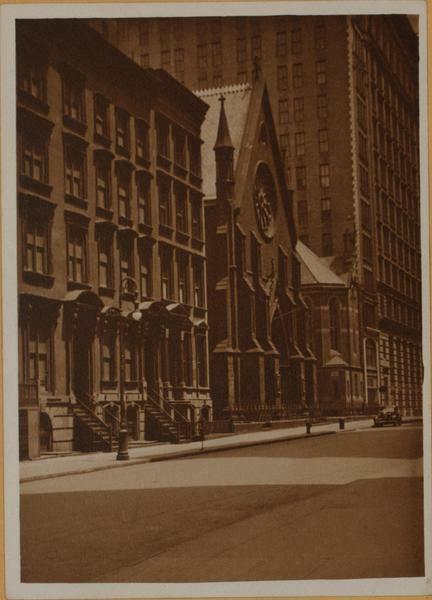 Similar to its downtown counterpart, the new church was faced with brownstone. The heavy blocks were etched in a rough finish, accented with austere Gothic trim and details. The front façade, what’s left of it, sits on West 25th Street and faces south. It measures around 65 feet in width by roughly 100 feet in height. The façade is supported by four stone buttresses, framed by delicate stone turrets at the sides, and punctuated by a large rose window above the entrance. The round apse at the northern end gave West 26th Street a decidedly medieval flair. On the inside, the walls of the tall nave grew richer in detail as they climbed closer to the vaulted ceiling. A series of ornate chandeliers hung from the vaults above the side aisles. The composition was deferential to the richly decorated ambulatory by the altar, where stained glass windows and gilded detail made for a powerful centerpiece. The church was the site of a religious milestone in 1865, when an Orthodox liturgy was held in an Episcopal church for the first time in American history. The New York Times described the event as an “un-usual historic happening” and called it the “Inauguration of the Russian-Greek Church in America.” Twenty years later, in 1885, famed writer Edith Jones married Edward Wharton at the chapel. Edith Jones went on to feature the church in her renowned novel, The Age of Innocence. The gradual uptown migration of parishioners continued into the 20th century. 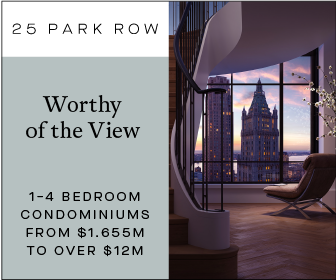 By the 1910s, the neighborhood one block west of Madison Square Park was becoming increasingly commercial, as residents were pushed farther north. In 1942, the Episcopal Diocese sold the complex to the growing Serbian community for $30,000, with the deed signed on March 15, 1943. 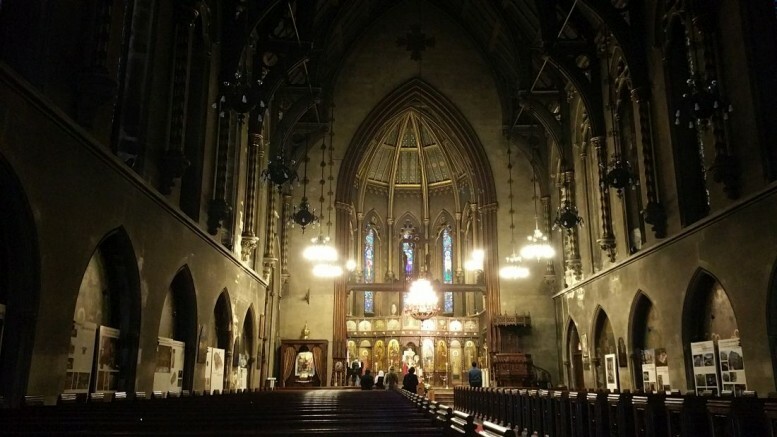 Although there are reportedly 138 Serbian churches in the nation, there are only two in the state of New York. The re-Christened Cathedral of St. Sava, named after the Serbian prince and monk, became the first Serbian Orthodox church on the east coast. Throughout the following decades, the cathedral remained one of the epicenters of the city’s Serbian community, serving as the venue for various cultural, educational, and social events. The bust of Serbian-American physicist, engineer, and inventor Nikola Tesla, whose father was a Serbian Orthodox priest, stands outside the church on West 25th, along with the bust of another prominent Serbian-American physicist, Mihajlo Pupin. 1962 brought a wave of notable changes. The hand-carved iconostasis, with icons painted by Russian iconographer Ivan Melnikov, was brought from the Monastery of St. Naum in Ohrid, Yugoslavia, placed in the Cathedral, and blessed. In the meanwhile, the floors of the Parish Hall received structural reinforcement. At the end of the decade, an explosion on 26th Street destroyed the original stained glass altar windows, which were replaced with Byzantine-style stained glass. 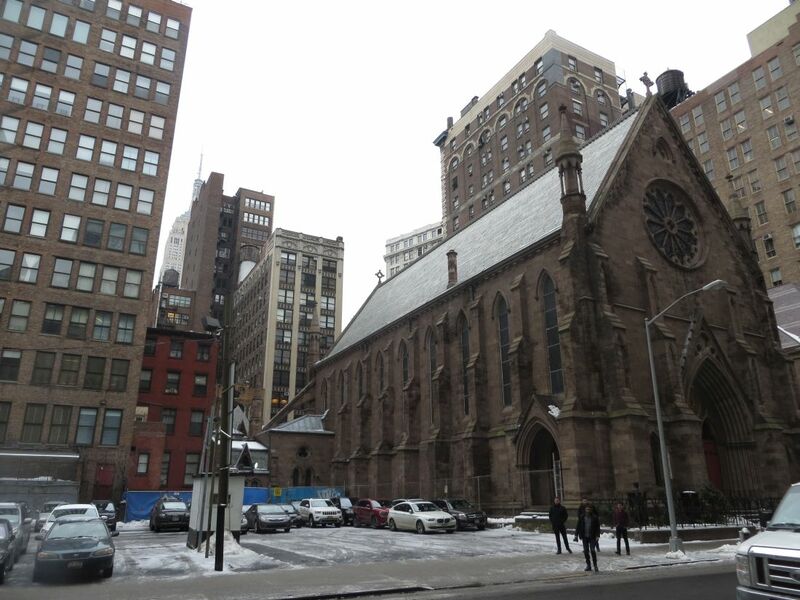 On April 18, 1968, the chapel was designated a New York City landmark. 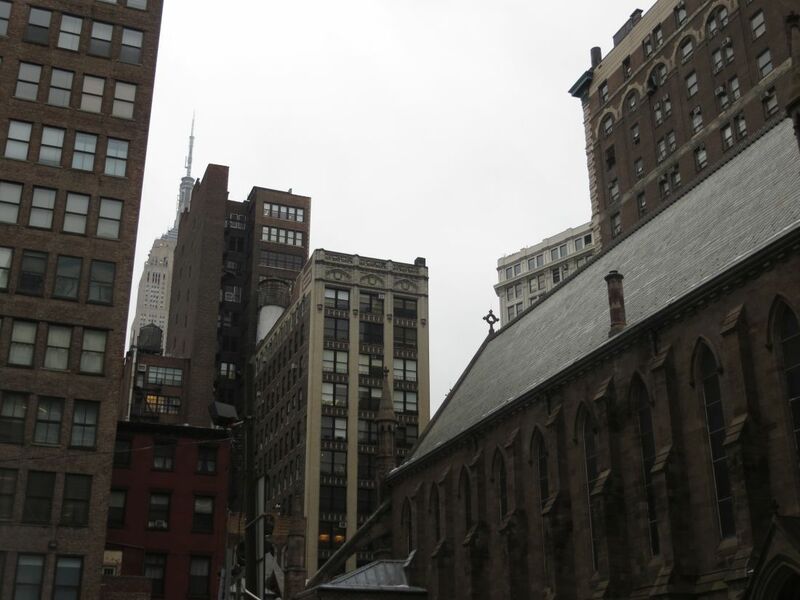 The New York City Landmarks Preservation Commission (LPC) commented that the Cathedral’s “special character, historic significance, and aesthetic interest and value of the development, heritage, and cultural characteristics of New York make it irreplaceable.” Indeed, the church was a true bearer of the New York spirit. 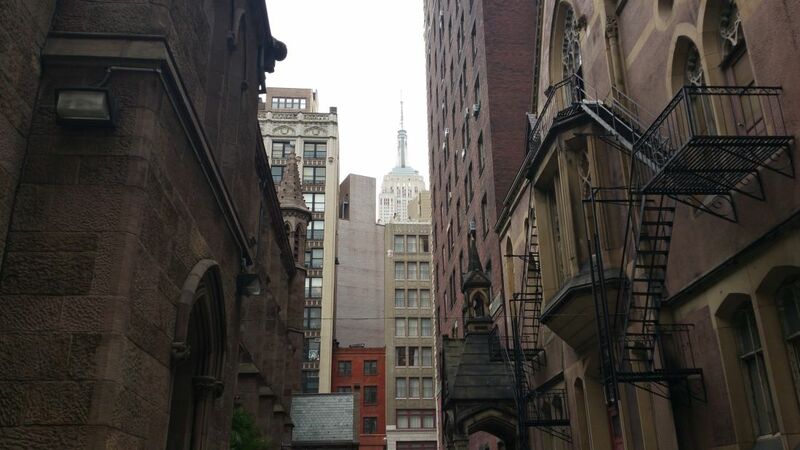 Its moody Gothic details and brownstone exterior spoke of classic Gotham, sharing the street wall with pre-war high-rises of brick and stone. Its vaults and pinnacles engaged the city’s Art Deco spires in an effortless dialogue. Beneath the spires, New York’s melting pot bubbled with people and cultures from around the world. In this corner of the city’s diverse cultural tapestry, the church served as a spiritual anchor for established Serbian-Americans. The icons and spirituality of old world Orthodoxy also provided comfort to new immigrants, while the Gothic shell spoke of a brave new world where seemingly discordant cultural foundations came together under one canopy. 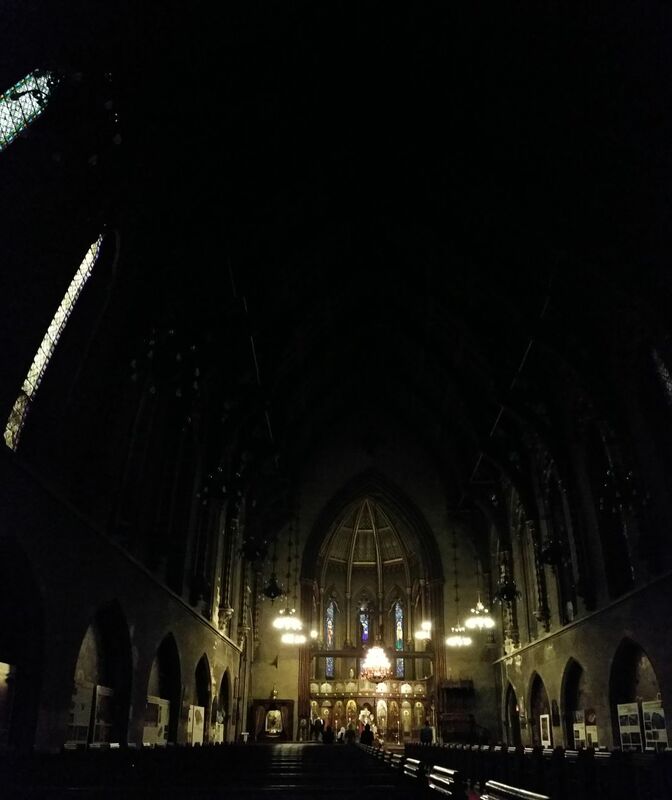 Even the casual passerby could appreciate the serene, dimly lit Gothic oasis in the midst of the busy streets of the Madison Square district. The alterations over the subsequent years were minor. Permits indicate façade restorations in 1997, 2002, and 2004, as well as installation of a fire suppression system in 2003. Meanwhile, the surrounding neighborhood began to see rapid change around the turn of the millennium. The first major shift took place at Sixth Avenue, which runs along the western edge of the block where the church stands. There, the lush green sidewalks of the Flower District began to make way for an echelon of residential towers, soon to be followed by a wave of hotel development. By that point, the neighborhood around the Flatiron Building at the southern end of Madison Square became known as Flatiron, a pricey enclave of residences and offices. 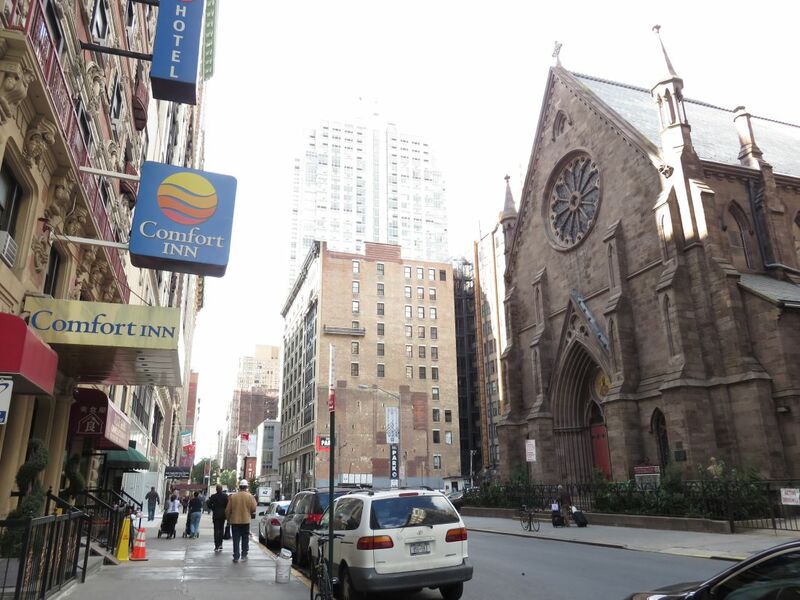 West 25th Street became accepted as the northern edge of Flatiron, putting the neighborhood’s boundary across the street from the church. 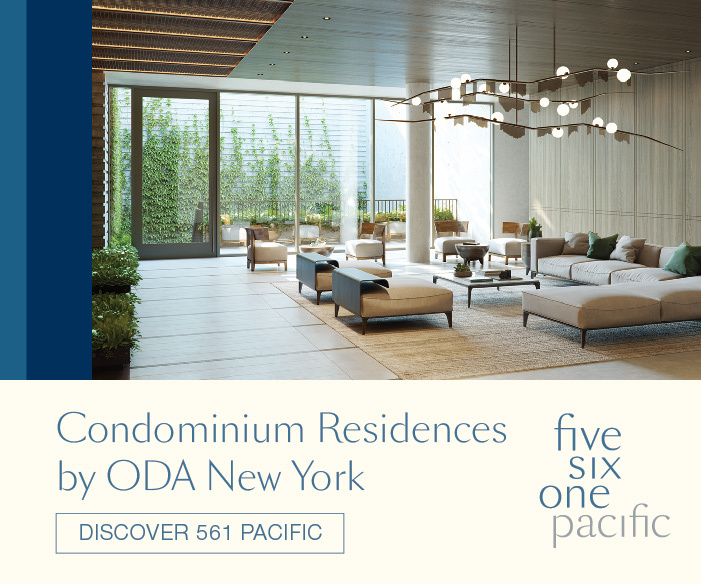 The cathedral found itself at the southern edge of the up-and-coming NoMad district, where a handful of luxury residential towers are currently in various stages of development. 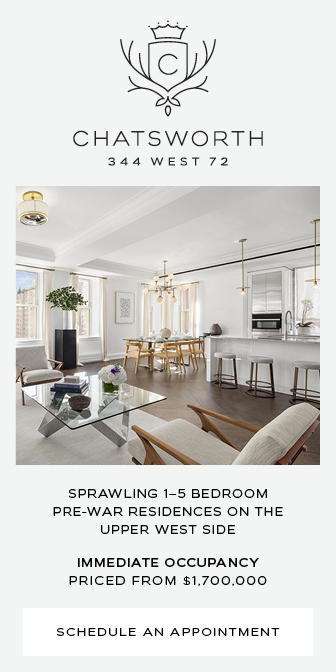 The stretch of West 25th between Fifth and Sixth avenues became particularly distinguished as an enclave of interior design suppliers. The large lot directly west of the religious compound has served as a parking lot for decades (doubling as a flea market venue on certain days), ever since the row of townhouses that stood at the site was leveled. Although there are no known plans to develop the site, neighborhood rumors about impending development have been circulating for years. For a number of reasons, the Orthodox church celebrates Easter, one of the biggest holidays of Christianity, at a different time than its western counterparts, on a date that typically takes place several weeks later. Although generally obscure for the majority of the American public, the celebration has appeared to receive extra exposure in national media over recent years. This year, President Barack Obama reached out to adherents of Orthodoxy with an Easter greeting. While most Orthodox churches in the city are of the Russian and Greek variety, the Serbian church on West 25th is the only one of its kind. It was also the place where, just hours after more than 700 parishioners completed their celebrations, tragedy struck for still-unknown reasons. The fire started around 7 p.m. on Sunday. It was discovered by the church caretaker, who was unable to put out the flame and escaped with minor smoke inhalation. Luckily, no one else was injured. Unfortunately, the building itself fared much worse. Within a short period of time, the Serbian Orthodox Cathedral of St. Sava became completely engulfed in a four-alarm blaze, with flames shooting dozens of feet into the air. A dramatic pillar of fire barreled towards the other side of the street from the ornate rose window. More than 100 firefighters battled the blaze, as law enforcement held back crowds of distraught parishioners, concerned neighbors, and bewildered passerbys. As the blaze gutted the historic interior, images and videos of the incident spread across the world even faster than flame. Thanks to the age of social media, sympathy for the local landmark in Midtown South began to pour in from all over the world within minutes. Although the bulk of the blaze was put out within hours, firefighting efforts continued through the night. By the time fire crews were hosing down the cinders the following afternoon, the 19th century cathedral was reduced to a charred stone husk. Although everything from the aisle to the timber-frame roof is destroyed, the stone walls of the cathedral remain standing. Experts deemed them to be structurally sound at the moment, although they continue to monitor the situation. 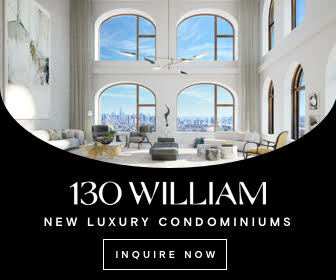 In the meanwhile, all sorts of people, ranging from Orthodox believers, to the residents of Flatiron and NoMad, to anyone else with appreciation for the city’s architectural, cultural, and social legacy, has to bear the sudden loss of the 161-year-old landmark. The Serbian Orthodox community is now left without a single church within the city limits. The congregation is asking for help via PayPal donations. We encourage our readers to heed the call for help from fellow New Yorkers in their time of need. 2 Comments on "Mourning the Landmark Serbian Orthodox Cathedral of St. Sava, 15 West 25th Street, Gutted by Four-Alarm Blaze on Easter Day"
Oh God..the structure got fire and destroyed, but now condition was completely finished.